Tags: ACEO, Copic markers, Red Sonja, sketch card. 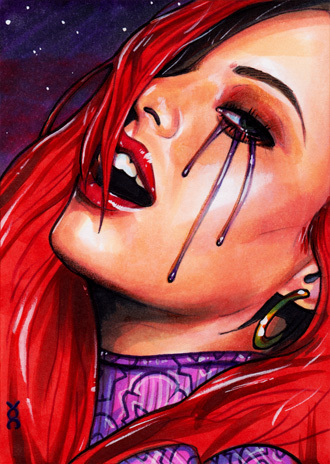 Tags: ACEO, Copic markers, Purgatori, sketch card. 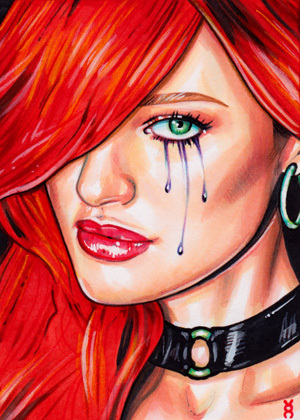 Tags: ACEO, Copic markers, Lady Death, sketch card.